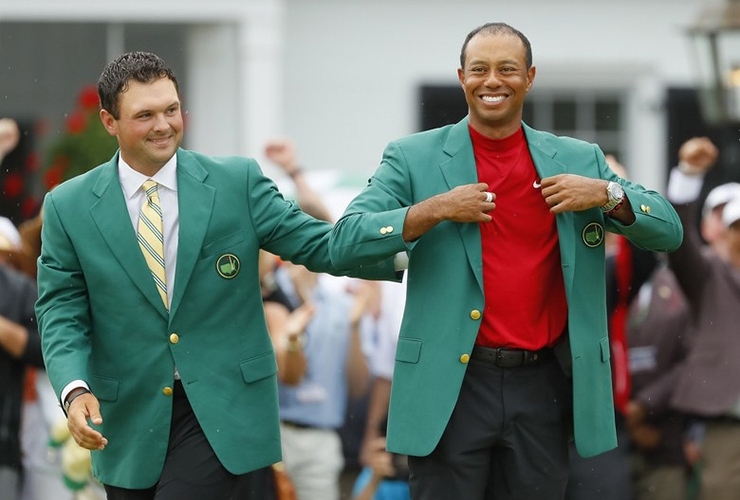 As if the fame and fortune that come with winning the Masters isn’t enough, the champ gets to remind everyone else he won for the next 12 months by taking the green jacket off Augusta National Golf Club property. And you never know where you’ll see the coveted coat turn up. “I’m excited about show‑and‑tell at school,” Woods said to close out his lengthy post-round press conference while his kids, Sam and Charlie, sat in the back of the room. Before that, Woods was asked several questions about the significance of winning a major in front of both of them for the first time. Woods’ last major win came at the 2008 U.S. Open when Sam was still an infant. He won’t have to describe what the green jacket is like to them anymore, either. And now it sounds like their friends will find out what it’s like in person, too. We’re guessing there won’t be many kids staying home from school that day.